In the past few weeks I've been struggling with a creativity rut of sorts. It's been creeping up on me slowly. I have a million ideas but they seem to be jumbled up in my head. It's been hard to figure out how to tie everything together. I think that's part of the reason why I started the 'one month of projects'. What I'll be working on in the new year is starting to evolve. It won't deviate that much from what I'm doing right now but I feel like a plan is coming together. One of the 'tools' I've used came to me serendipidously in the mail a few weeks ago. It's a book called The Creative Entrepreneur. It's a guide book that helps a creative, albeit business challenged, person like myself get more organized. One of the goals of the book is to visually record your notes or work in an art journal. I'm not the type to journal or even scrapbook so I'm completely skipping the artsy part of the book (sorry!). I'm keeping notes of everything that I've come up with so far. It's been very inspiring and the prompts and questions that are to be considered have helped me pinpoint what I really want to do. I like the fact that I'm working on this now, so that I can start the new year with a fresh outlook. While I'm on the subject, another book that I have and has been helpful when I'm creatively stuck is Caffeine for the Creative Mind. I work on it randomly opening it to any page and trying out one of the 250 exercises that are included. It has worked before so it's always in a handy spot. If books don't help then another option is to jump right in. I did just that today. I called it In The Breeze..
Oooh, I absolutely love it! And the bizarre thing is that it matches my outfit today exactly! I'm wearing a yellow turtleneck sweater with charcoal gray dress pants. Freaky! That is GORGEOUS! Love the little splash of yellow...it gives me the same feeling as seeing a stream of sunshine through closed curtains. You brightened my day - thank you! It's good to organize your creative thoughts. I keep a journal- a lined note book with mainly words, some sketches.... they're all in there for reference. I like "The Breeze". Over on DesignSponge they are doing this whole thing with the New York Public Library with the idea of getting inspired from the library. I'm curious to see how it turns out, but in the meantime plan to take a trip to my own library to discover something new and see where it takes me. I keep notes, too. And lots of things pinned on my bulletin board where I can see them. 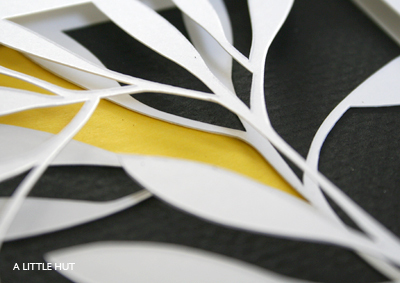 This beautiful papercutting just went in my "art to buy" folder - only the 2nd item! Thanks!! I was, literally, just jotting down my list of all the things I love & want to do...and trying to figure out how to tie it all together to create a career...when I gazed at your post! I am working part-time right now and want to ease out of my job and ease into doing my own thing.... Thank you for the book suggestions - so very timely... good luck to you and good luck to me! oh i love this piece. the colours are a good combination. i think documenting is key. it helps get it all out. thanks for the book referrals as well. i've been checking a lot of great books out from our local library lately. I will have to check out that book~sounds like just what I have been looking for. 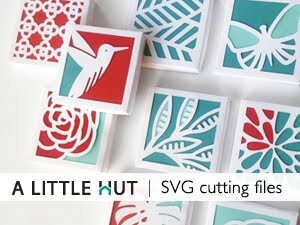 Love your stuff on Spoonflower! I just discovered your blog. I really like how your work seems to intersect fine arts, crafty fun, and decor. It's beautiful and accessible. And the book suggestions today look great too! Hello! I love your work and have been reading your blog for a while, and so i have decided to say thanks for all of your creative inspiration. I am going to check out the book Creative Entrepreneur. It looks wonderful. Hey Patricia! Long time no chat! It's Diana w/ D Celestine. I totally didn't realize you had your own blog. I have been missing out! 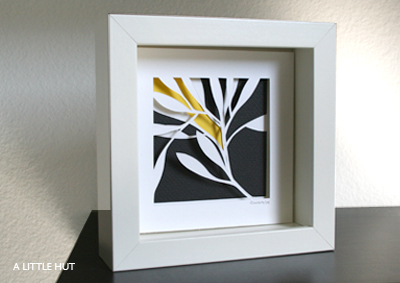 I love this black, white, and yellow creation here...it's soooo light & airy & pretty! nice work!